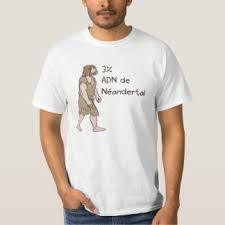 I'm 3.2% Neanderthal, and have the Tee Shirt to prove it. That’s the DNA result 23andMe came up with a few years ago. Does that mean I cn get a teaching position at Harvard? Claim Oklahoma?